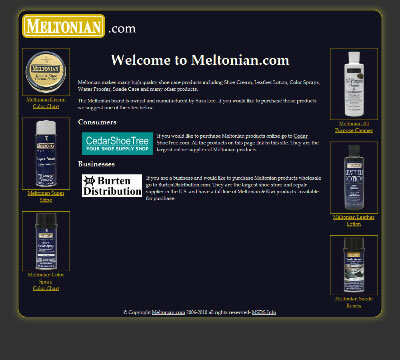 Meltonian is the #1 most recommended shoe cream for leather in the industry. All of their products have been featured in countless fashion magazines. This website is not owned by the company who owns and manufacturers the Meltonian brand, but it is owned by a company that can supply you the products wholesale or retail. I created this in 2009 to be a microsite that redirects to other sites. Get your shoe care supplies at Meltonian.com.